The Massachusetts Adoption Resource Exchange (MARE) was founded in 1957 to bridge the gap between children instate foster care in Massachusetts and families looking to private agencies for adoption. This was the first public/private collaborative effort of child welfare agencies in Massachusetts, and one of the first five adoption exchanges in the country. Through continued innovation and ongoing programs, MARE has helped more than 6,100 children move from the instability of foster care to the comfort and security of loving adoptive families. MARE helped 178 children leave foster care for adoptive families last year. These youngsters averaged 9 years old. MARE’s work save the taxpayers over $13,000,000 in future foster care costs (if those children stayed in state care 9 more years till age 18). Young adults who age out of state care at 18 are at high risk for homelessness, unemployment, drugs, violence, unplanned pregnancy – ills that could require a lifetime of public services. Adoption reduces these risks for the children and their communities. Wednesday’s Child features on WBZ TV with news anchor Jack Williams. This is the longest-running adoptive-family recruitment feature on TV in the country! First started in 1981 as a collaboration among WBZ, Jack Williams, MARE, and the state’s Department of Children & Families (DCF), Jack has interviewed more than 1,000 children in foster care who were waiting for adoption. More than 600 of those children found permanent families. Sunday’s Child columns in the Boston Sunday Globe – the Boston Globe has partnered with MARE since the 1970s to profile one child or sibling group each Sunday. The columns now appear in the Money & Careers section of the paper. 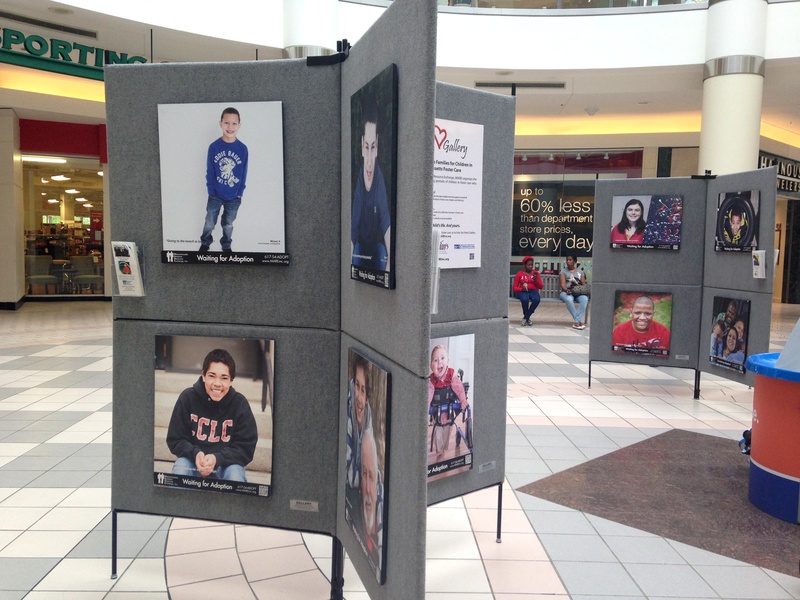 Heart Gallery Portrait Exhibit – Volunteer photographers create beautiful portraits of children waiting for adoption. MARE brings this Heart Gallery portrait display to locations throughout the state, from libraries to shopping malls, small businesses to office buildings – wherever people’s hearts might be touched. It is possible that the Heart Gallery will come to Finding Forever this fall depending on the venue.